EDMONTON – Retailers from west Edmonton hit the runway in full force on Saturday at the first ever 124th Street Showcase hosted by Western Canada Fashion Week. Sandra Sing Fernandes, founder of fashion week, said like Old Strathcona – which has been featured in retail showcases before – 124th Street is a creative community within Edmonton that deserves a moment in the spotlight. "They're really a force to be reckoned with," said Fernandes. "They're a wonderful area." A number of mid to high-fashion retailers from the nicknamed "Block to Shop" participated in the showcase. Each retailer was given the chance to present two to four outfits from their store on the runway. Fernandes said the showcase was a great addition to fashion week, now in it's 12th season, which allowed local shop-owners to get involved and promote their business at the same time. "For them, I think there's a wheel already working that they'd like to be a part of, and for us, they're people we'd really like to help," she said. "So, it's definitely a win-win." Sandra Correia, co-owner of Floc Boutique, said she was happy with the showcase overall, adding it was great exposure for her business and 124th Street as a whole. "I think it was an interesting introduction to 124th Street that people who didn't know about it probably are now more enticed to come down," said Correia. "It's something we'd want to do every year if we could." 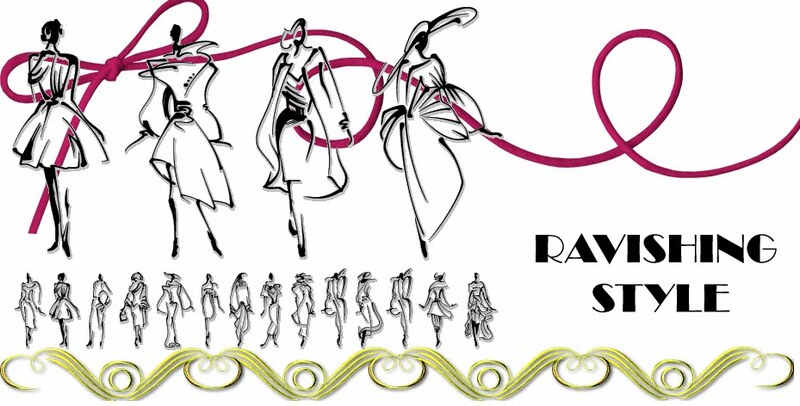 Western Canada Fashion Week runs until April 1 at the TransAlta Arts Barns. For a look at the week's events. TOP fashion designer Henry Holland credits his love of Scottish culture for kick-starting his career. His luxury label House of Holland is worn by everyone from Rihanna to Lindsay Lohan. And his high street range in Debenhams has just celebrated its first birthday with a new collection. Henry, 27, held his first solo show at London Fashion Week in 2008. A few months later, he picked up the Best Use of Tartan prize at the Scottish Fashion Awards, beating Dolce and Gabbana and Ralph Lauren. Since then he's become a big part of the quirky, cool end of the British fashion scene. This year he's returned to a Scottish theme and it could mean another award for his label. Henry, from Ramsbottom, Lancashire, said: "The 2008 collection was based on Scottish heritage fabrics, so to get a Scottish Fashion Award was really exciting. "This season we've used authentic tweed, developing seven of our own with the factory in Harris. "We often use heritage fabrics and we've taken part in the Dressed To Kilt events in New York for a few years. "I don't have Scottish roots but I like the history and the culture behind the country's fabric industry." Tessa Hartmann, founder of the Scottish Fashion Awards, attended his latest show at London Fashion Week. She said: "I loved Henry's collection for autumn winter 2011. He's young, edgy and inspirational. It's incredible to see so many high profile design houses like Henry Holland using our precious fabrics. "It makes for an exciting stand off for this year's Scottish Fashion Awards' Best International Designer. But you'll have to wait until next week when we announce our shortlist to find out." His more affordable range, H! by Henry Holland, has also been a success. Launched in Debenhams last year, it was a gamble not just for Henry but also for the department store. The bright tops, patterned skirts and trend led collections have made it a must see on the high street. For Henry, it gave him a sense of achievement even his catwalk shows hadn't managed. He said: "It's brilliant because it's such a departure for Debenhams in terms of targeting a whole new customer, that younger age group and fast high fashion. It's exciting to see how it's been received. "Going into the store on the first day was the highlight because I'd never had my clothes all in one place before. "Every hanger had my name on it. As excitement goes, that takes a lot of beating. My main label is called House of Holland, so unlike most designers I'd never had anything with my full name on it before. "The age range is slightly younger than my own label but it is about achieving a middle ground between a high level of design and high fashion, and an accessible price point. I think that's why Designers At Debenhams has been so successful." Henry's new range may be accessible to the masses but celebrities make up a big part of his life. His best friends are TV presenter Alexa Chung and supermodel Agyness Deyn. Henry grew up in the same town as Agyness, while Alexa was a model just starting out when they first met almost 10 years ago. They all ran the London Marathon last weekend to raise money for Oxfam projects in Tanzania. It was Henry's first and, although he did it in an impressive three hours, 28 minutes and 59 seconds, he says it'll be his last for a while. But raising the sponsorship made it worthwhile. He said: "I went over to Tanzania for a week and it was eye opening being in rural Africa. We're raising money for a project on sisal production. "Sisal is a plant they harvest there and the money Oxfam give them will buy harvesting machines that make them 1000 times more productive. "We met farmers and saw the enterprises they've built up. We also visited a few schools." Henry also organised an event for Cancer Research UK, which raised £90,000 in one night. Having good friends in the industry helped but Henry said fellow designers had always been ready to lend support. He said: "I've always thought the British fashion industry is the friendliest in the world. We're so supportive of each other. It's really hard to do this job and all the other London designers appreciate it. Everyone's just so willing to help. Despite what you hear, I have never encountered bitchiness inside the industry. "With the cancer fundraiser, it was quite a personal cause because my mum is a breast cancer survivor. I was really young when it happened so I was very protected from it but it's scary. "For me, it had a happy ending and I think it's all down to the research the scientists are working on, the treatments they're developing. It was important to support that." But even Henry doesn't always get it right in the style stakes. He said: "The first time I was invited to Downing Street, I wore my own design, a bright red floral suit. "Everyone else was wearing black and I looked like a glowing beacon. "Naomi Campbell was wearing a white trouser suit so I tried to stand near her to dilute some of the attention. "When I was invited for the second time, I wore black." The redhead is the stylish one in Girls Aloud. A fan of Henry's, she's often in the front row at catwalk shows. Henry said: "I love Nicola. We did a magazine shoot together and she was my muse for the article." The supermodel and Henry have been friends since they were teenagers and have remained close. Agyness is one of the most in demand catwalk and advertising models both in the UK and around the world. Now living in New York with boyfriend Alex Turner of the Arctic Monkeys, Alexa is a model turned TV presenter. One of Britain's bestdressed women, she had last year's biggest selling Mulberry bag named after her. Actress Jaime has a quirky red carpet taste which works well for Henry, who loves to dress his friends and see them looking good. Part of the cool London scene, Jaime supports Henry at his catwalk shows. The 20 year old is the youngest daughter of Bob Geldof and one of Henry's closest friends and muses. A successful model in her own right, she fronted Henry's campaign collection for Debenhams last year. Louis Vuitton Likes Angelina Jolie…A Lot. 35 year old moviestar, wife of Brad Pitt and mother of six, Angelina Jolie has be signed to be the latest face of Louis Vuitton. Sure, she's graced a ton of covers and was the face of the American luxury fashion brand St. John, but Jolie's lastest deal comes at a pretty penny (and a rumored $10 million dollar deal). It almost seems as if Jolie was almost holding out on becoming the face of any brand…until the price was right. On top of that Jolie will still take part in her active role as a Goodwill Amabassador for the UN. Another rumour? That Annie Leibovitz will be shooting Jolie in the coming weeks! I can't wait to see what the images will look like…in true Jolie and Vuitton style, I am sure they will be classically chic and gorgeous.